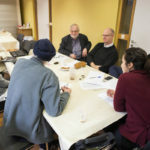 Come and contribute to shaping ENORB’s work for the coming year and beyond! 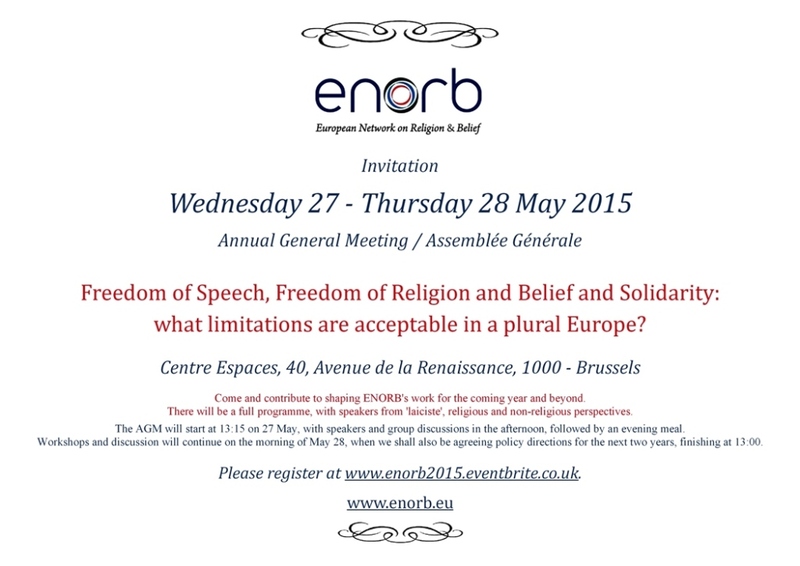 ENORB’s AGM / Assemblée Générale is on Wednesday 27 May to Thursday 28 May 2015, from 12:30 at Centre Espaces, 40, Avenue de la Renaissance, 1000 – Brussels. Freedom of Speech, Freedom of Religion and Belief and Solidarity: what limitations are acceptable in a plural Europe? There will be a full programme, with speakers from ‘laiciste’, religious and non-religious perspectives. The AGM will start at 13:15 on 27 May, with speakers and group discussions in the afternoon, followed by an evening meal. Workshops and discussion will continue on the morning of May 28, when we shall also be agreeing policy directions for the next two years, finishing at 13:00. Download the invitation here. For further information and to reserve your place (members, adherents and guests are all welcome), please register online here.